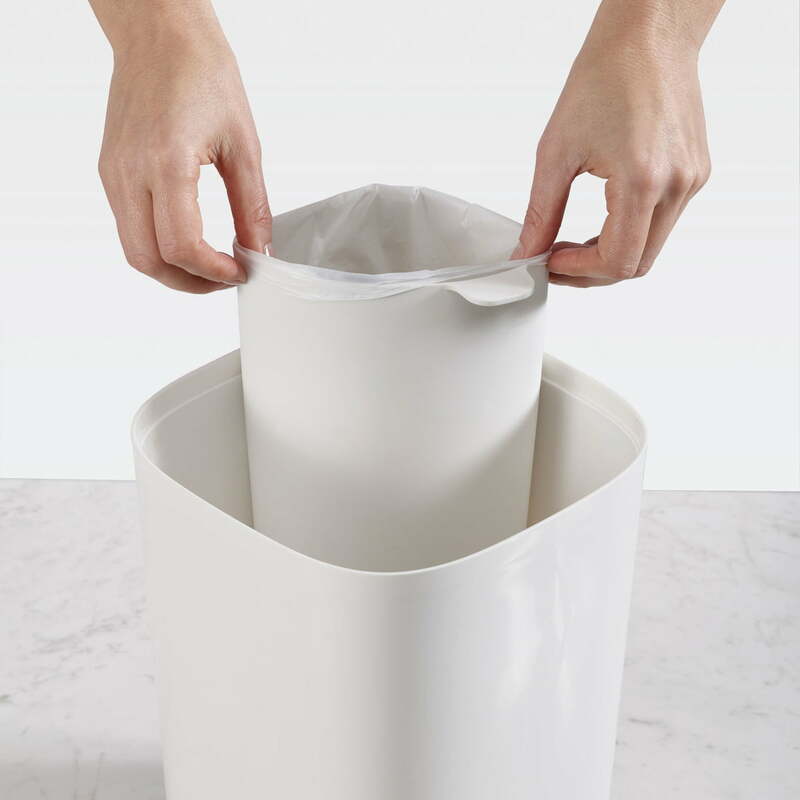 The Split Bathroom recycling bin by Joseph Joseph simplifies the tedious task of separating waste in the bathroom. The bin features two compartments on the inside. The small removable insert serves as a container for toiletries or cotton pads, while the remainder of the bin is ideal for recyclable waste such as shampoo bottles or toilet rolls. The small and large opening helps differentiate the two compartments. The compact design of the Split waste separator is embellished with a discreet colour scheme. The white and light blue shades are ideal for every bathroom, and ensures a fresh and clean environment. The different elements of the Split Bathroom recycling bin can be disassembled to allow for easy cleaning. The entire capacity of the bathroom bin is 8 litres. 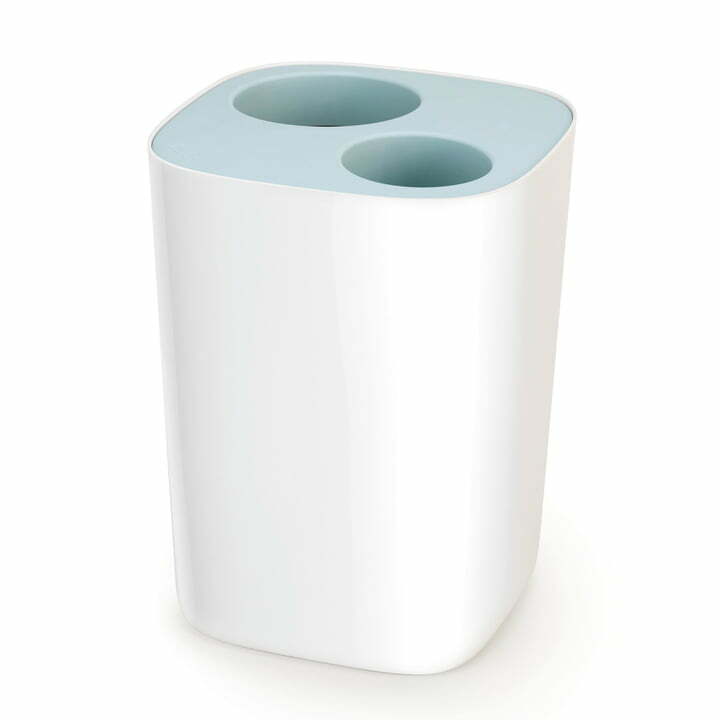 Isolated product image of the Joseph Joseph - Split Bathroom Recycling Bin. The compact design of the split waste separator is embellished with a delicate color scheme. The white and light blue shades are ideal for every bathroom, and ensures a fresh and clean environment. 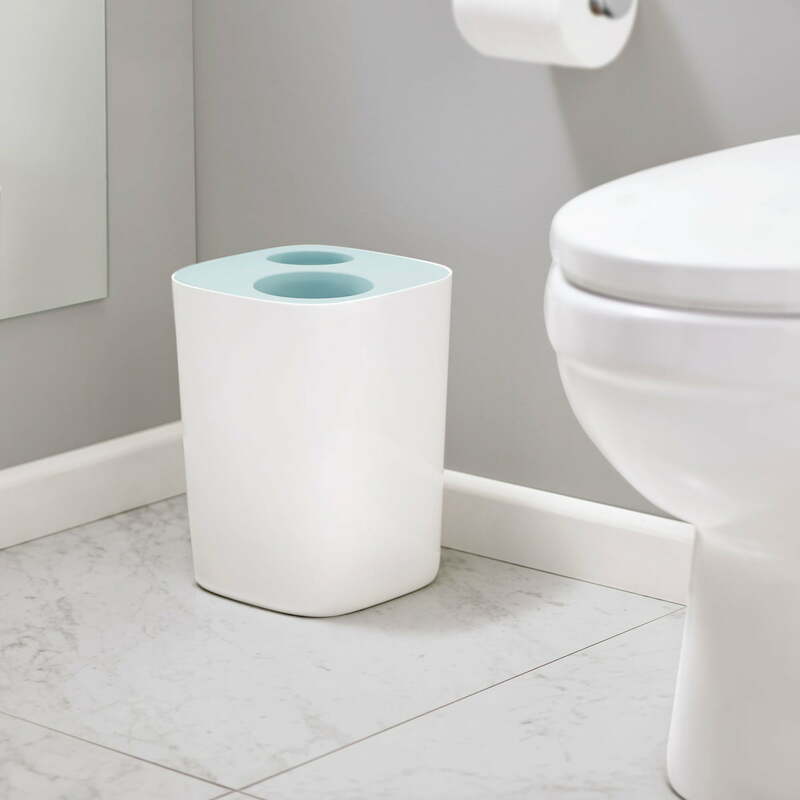 Lifestyle product image of the Joseph Joseph - Split Bathroom Recycling Bin. The small and large opening helps differenciate the purpose of each compartment. Lifestyle product image of the Joseph Joseph - Split Bathroom Recycling Bin. 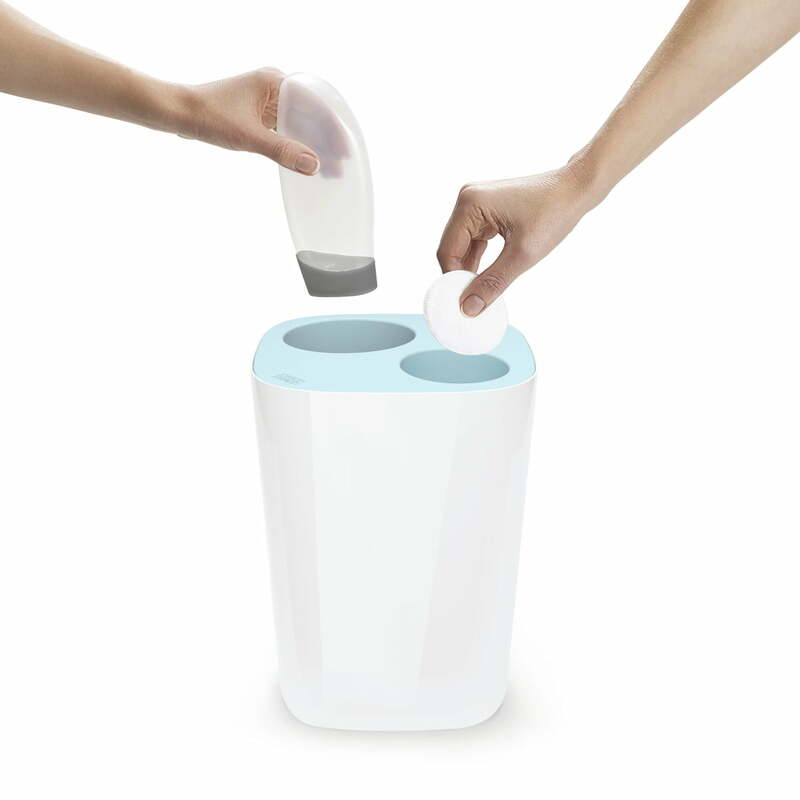 The Split Bathroom recycling bin by Joseph Joseph simplifies the tedious task of separating waste in the bathroom. Lifestyle product image of the Joseph Joseph - Split Bathroom Recycling Bin. The bin features two compartments on the inside, each for different purposes.